Posts tagged "Renata Tan Li Na"
Five-Star General – 五星上将 – (Just a direct translation for now as I couldn’t find an “official” English title) is a China/Thailand coproduction that’s influenced by Charlie’s Angels, Tomb Raider, and the action in Avatar (I’m guessing from the helicopters and jungle scenes) that is also aiming for 3D action. 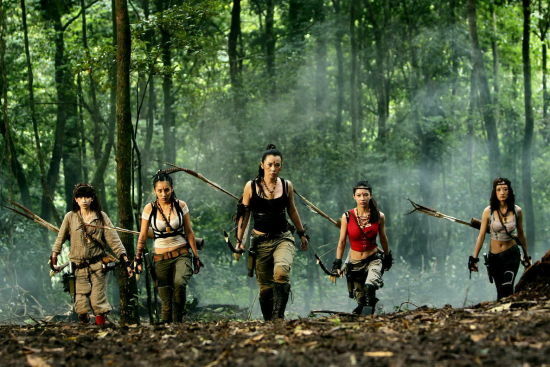 What we do know of the plot seems to involve a group of female mercenaries or Amazon warriors. Doing something. In the jungle. That is adventurous. And there are some dudes around as well (Collin Chou Siu-Lung, Ryu Kohata, Shi Yanneng, and Andy On Chi-Kit.) Mavis Pan Shuang-Shuang is one of the females, and Renata Tan Li Na is somewhere in there as well. 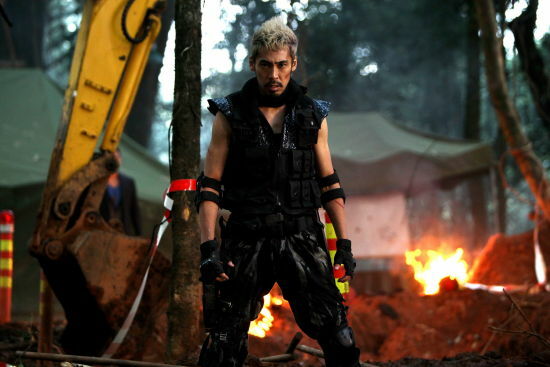 The director is Fu Huayang of Kung Fu Hip-Hop fame. And now some pictures! Look for more news when they announce the first of what will probably be several Western names until they settle on one.